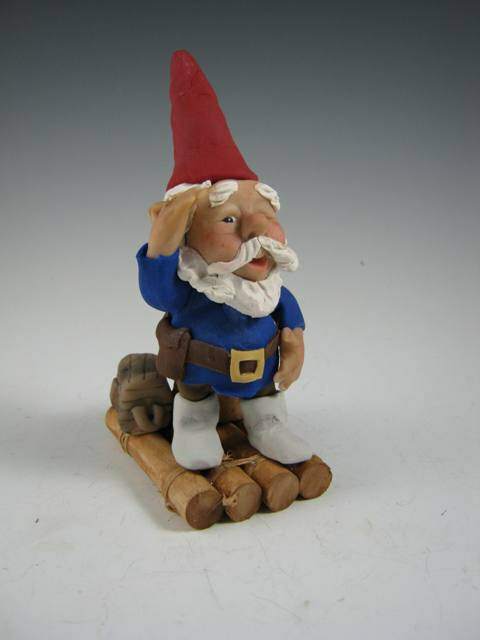 Ever since the famous Gnome book first came out in the late 1970's early 1980's I've been fascinated with Gnomes. 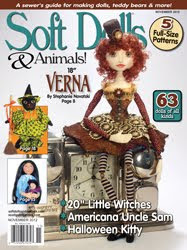 I would pour over the illustrations in the book, just enamored at all the wonderful little details and loving the tiny little woodland world they lived in. 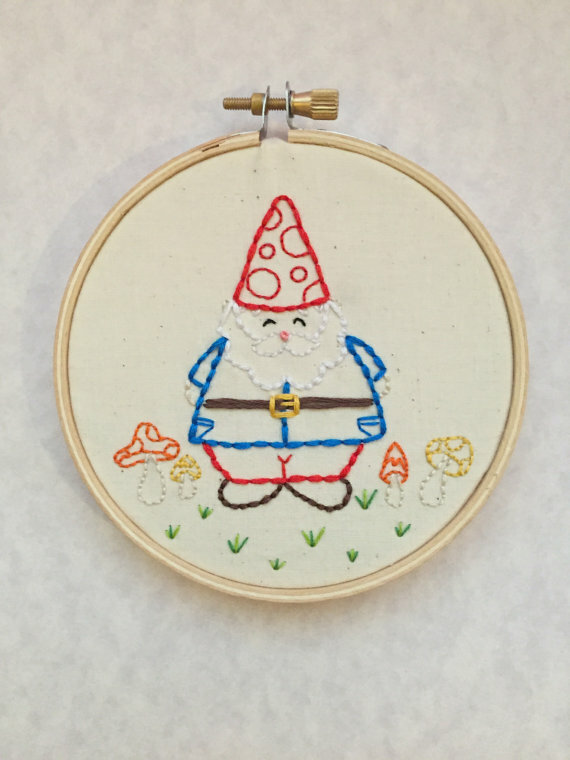 So today's finds are all about Gnomes! 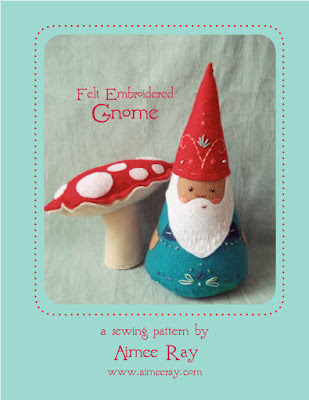 Aimee Ray has the most wonderful little felt Gnome with embroidery pattern, that's always been a huge favorite of mine. 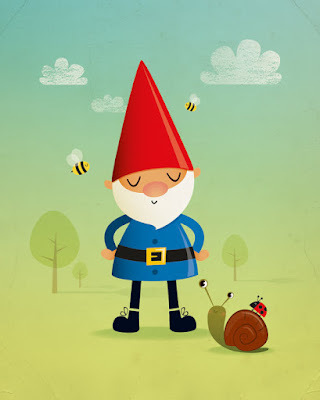 This Gnome print is just the cutest, with this Gnome doing his happy little thing with his tiny insect friends. 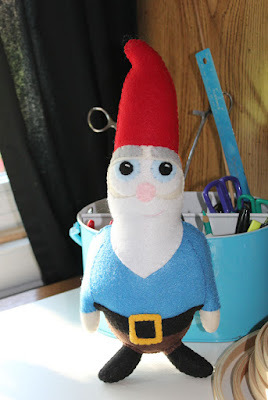 A beautiful clay sculpture of the Gnomes from the book. So well done and a great keepsake piece for a Gnome lover. Hoop art is awesome and this Gnome themed one would be an adorable gift for a kids room or a Gnome loving adult. A Gnome garden Gnome! 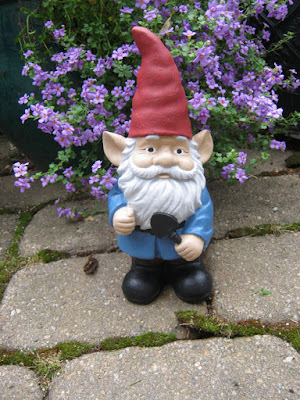 Seriously who wouldn't want one as a gate keeper for their garden? And finally, a set of Gnome greeting cards. Sent them of frame them, just have fun with them! Here's my old Gnome that I'm going to be re-designing and making a new diy pattern of for a woodland series to be available this Fall. If you have any ideas of what you'd like to see in a woodland series, please leave me a comment, I'd love to know! 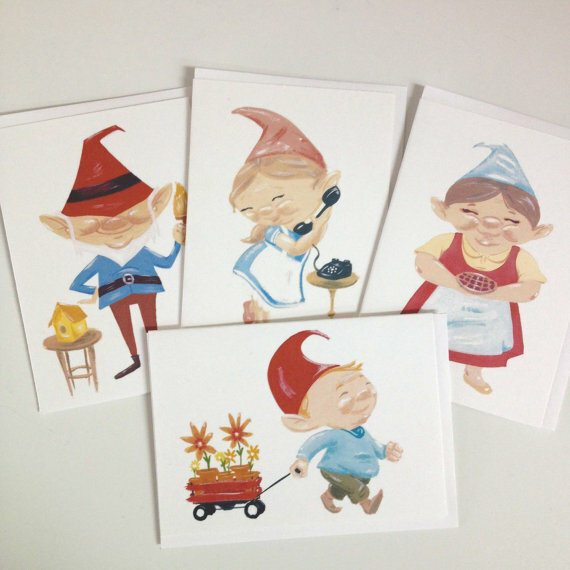 Hope you enjoyed all the Gnomes! Give these shops some love!